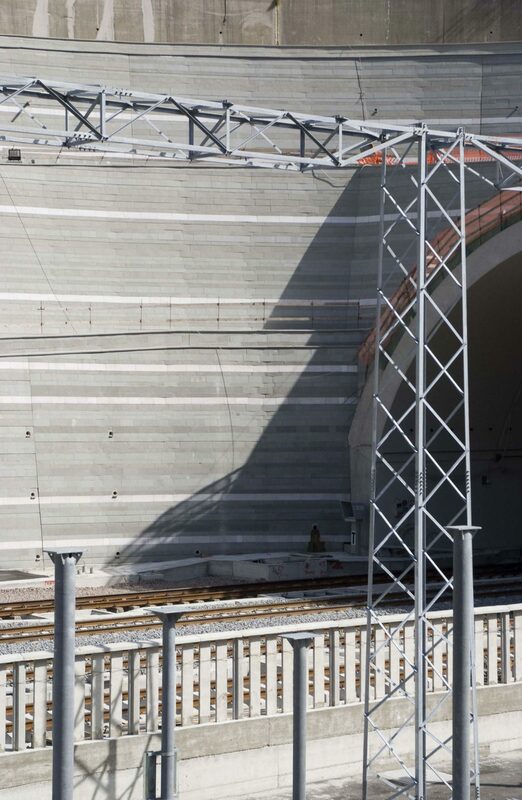 Tunnel arch supports are at the center of Rossi Prodi Studio’s project for the high-speed railway along an ample esplanade in the Apennine mountain range of Tuscany. 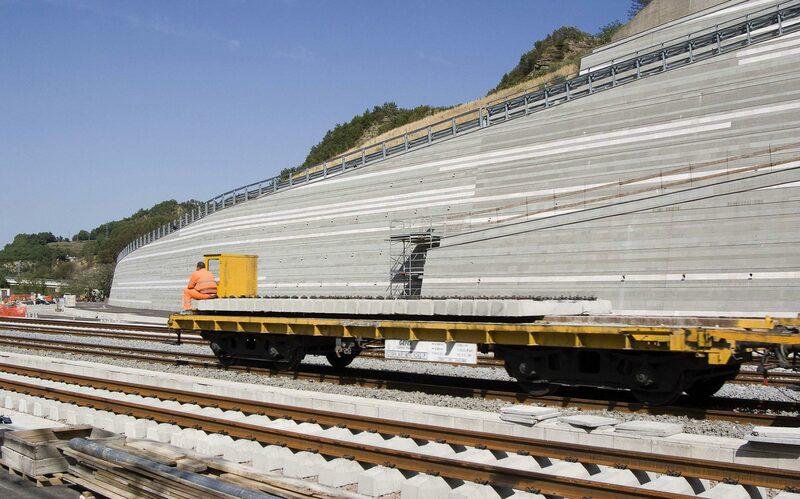 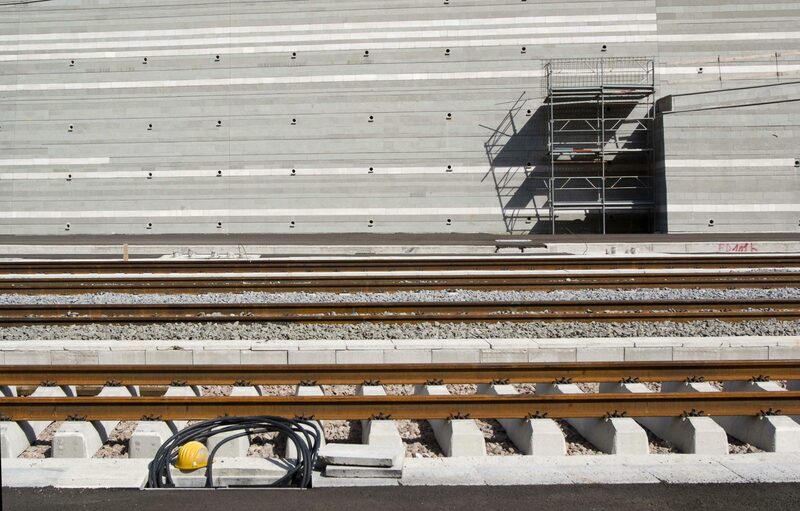 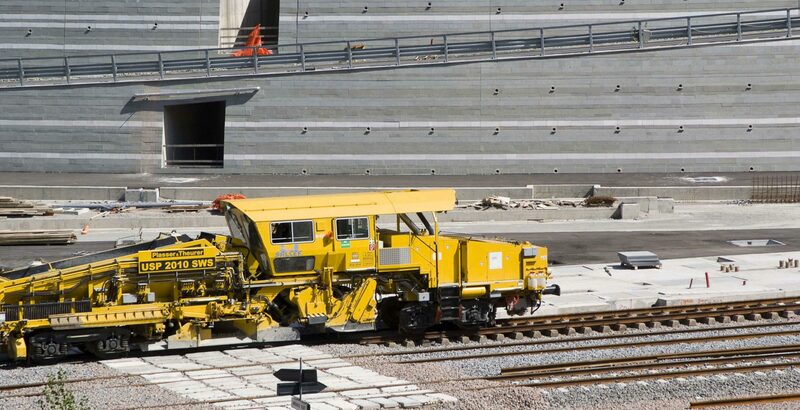 The team’s challenge was to integrate the engineering works, for which reinforced concrete was used for structural performance, with the natural surroundings. 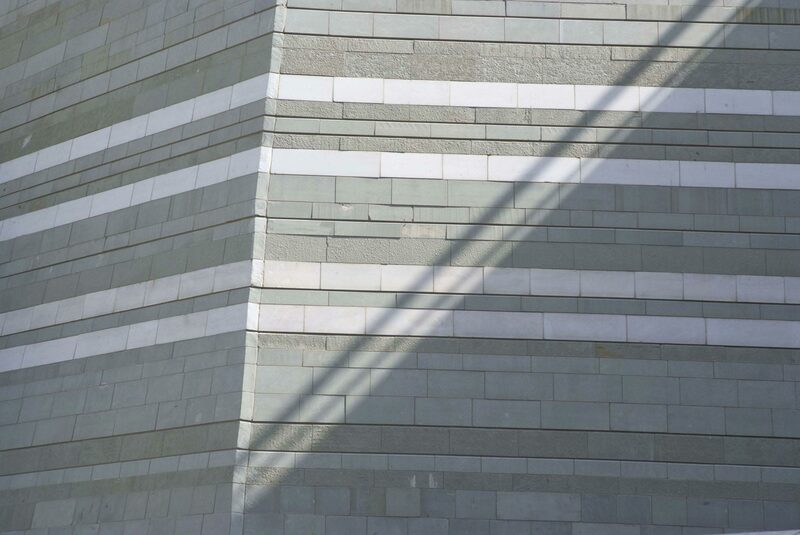 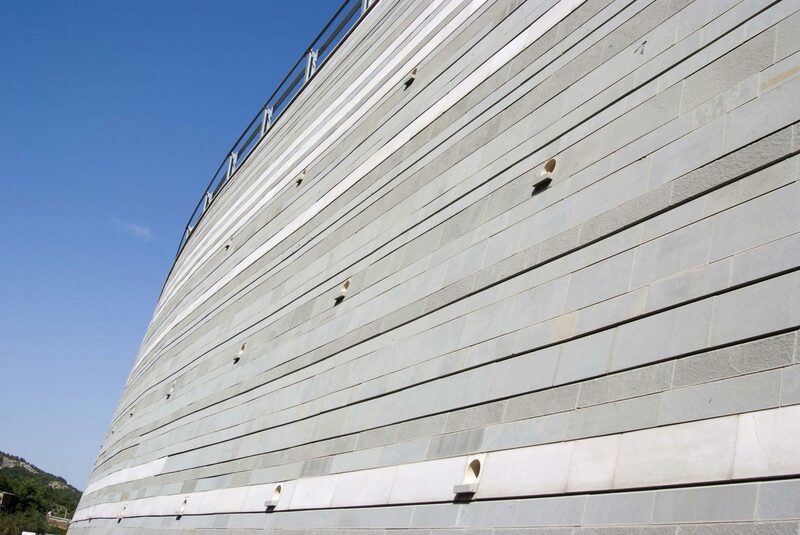 The presence of concrete is strongly mitigated by the choice of stone applications: local Pietra Forte Fiorentina follows the natural and excavated curves to mediate, in a conceptual and physical manner, the dominant characteristics of the natural and manmade materials. 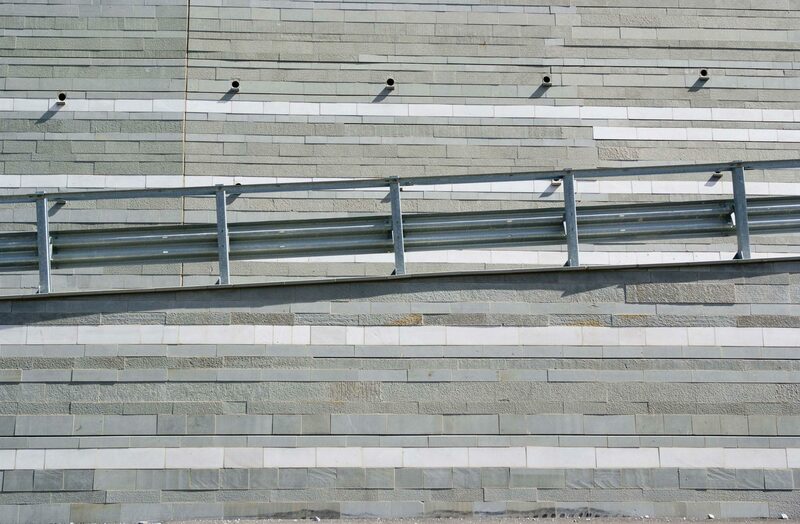 The stonework takes shape by laying orderly horizontal layers of overlapped ashlars. 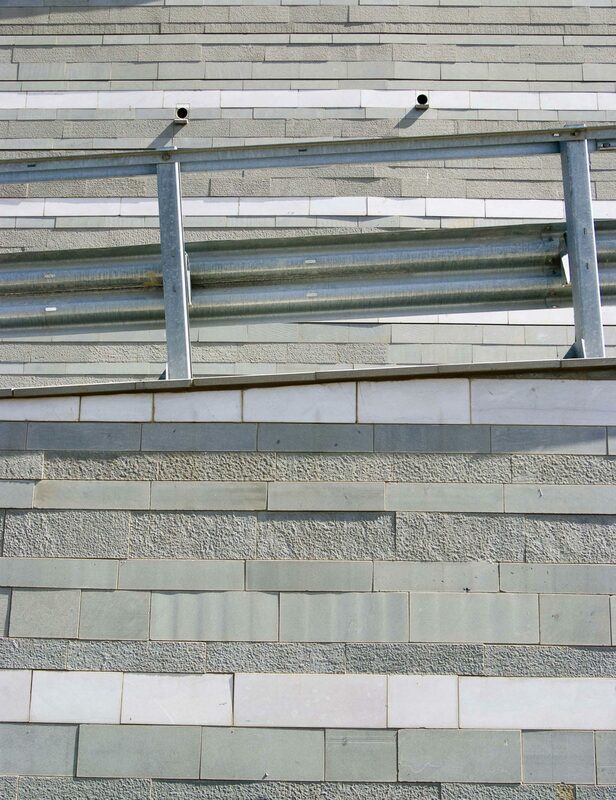 These horizontal layers differ in the size of the ashlars, color and surface finish and, in some segments, by length: at times seemingly endless, and at times knowingly interrupted.